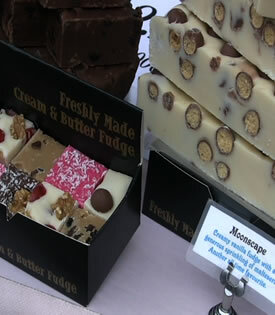 Does fudge sell at a market? As a traditional market trader in London, Stewart reaches a tourist and local market. Stewart has sold fudge throughout the City for many years now. “Sometimes the weather has an impact on sales but over a year it tends to even out. 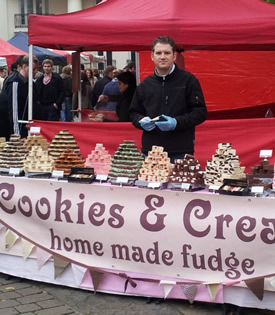 In a place like London, people are quite happy to spend a tenner on fudge but I do have to make sure the display is full and the fudge must look fantastic otherwise people don’t stop”.